Our centrifuge repair services are thorough, fast, and experienced. 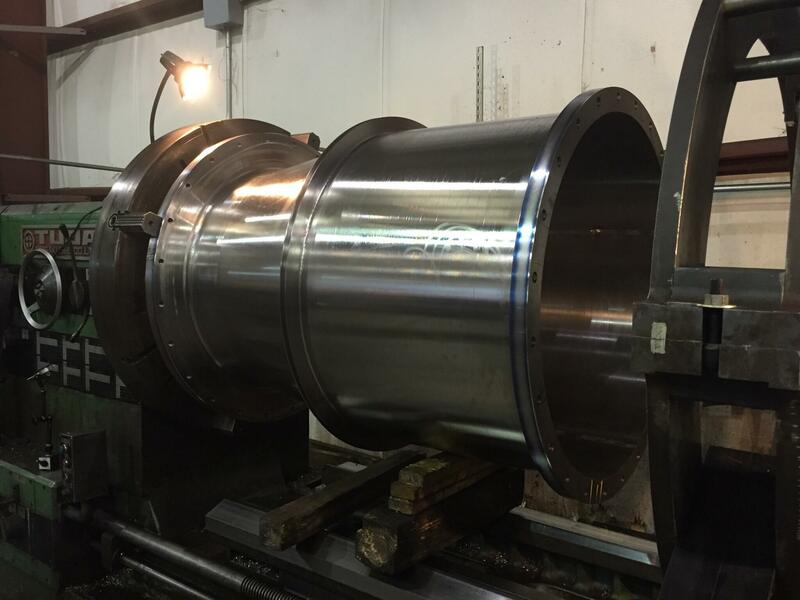 From our service engineers to our in-house welding and fabrication personnel, every step of our operation brings years of experience in centrifuge repair. Our centrifuge repair facilities can take on repair projects big or small, whether it came from our shop or elsewhere. Vision Machine Inc. can even assist with the upgrading and redesign of used equipment. Vision Machine Inc. will do everything possible to make sure your operation is up and running again while maintaining a high level of precision, quality, and service. Our sales team can assist you with providing low cost and effective solutions, from upgrading and redesign of used equipment to the repairing of basic bearings, seals, and balancing. Vision Machine can also re-manufacture centrifuges with new skids, case, bowls, etc. Vision Machine repairs all makes and models of horizontal decanter centrifuges. For more information on our centrifuge repair services call 832-562-2112 or click the the button below.